This is a card I made with Julie's Challenge in mind. 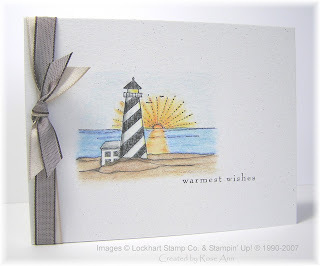 I used my new Lockhart Striped Light House stamp that I purchased from Ellen. I stamped the image with StazOn Jet black on Naturals White card stock, then colored with my Prismacolor Pencils and blended with Gamsol and stumps. The sentiment is from the new SU level 1 hostess set, "So Many Sayings". I checked my ribbon supply for the perfect ribbon, and couldn't find it. In the end, I decided to use Chocolate Chip & Kraft taffeta ribbon from SU. Check out my new ink storage from Storage Units, Ink. I don't have all of my markers in it yet, but I love how everything is so easy to access now. Thanks for visiting today, and have a nice weekend! Amazing card! I'm a fan of simple, clean cards. Great work! Love this card. It is so clean looking! Great storage! Love your card. So simple indeed. I enjoyed Julie's challenge too. great card!! and i love the ink sotrage, too - so pretty!!!!! 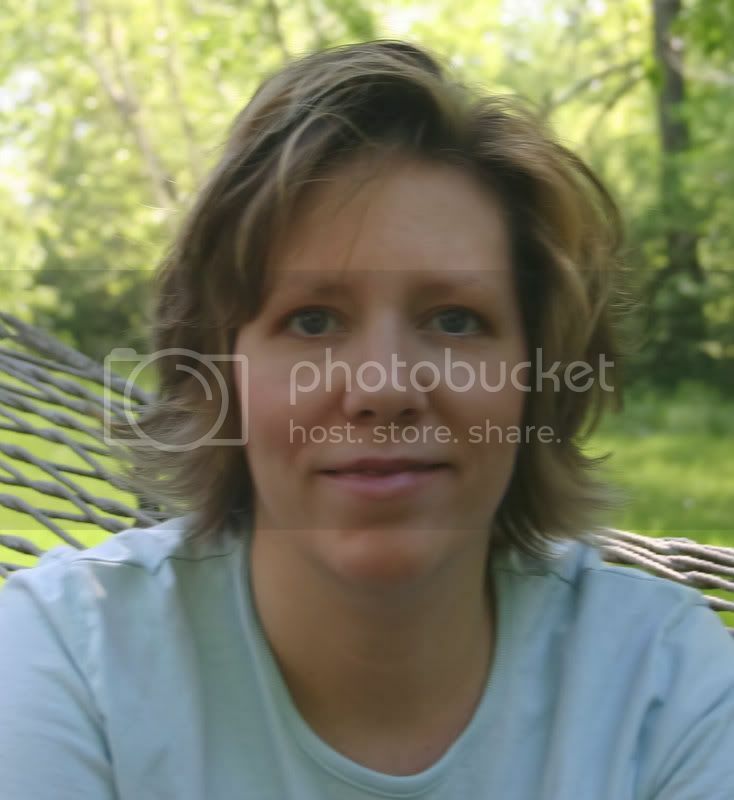 Rose Ann, sorry I haven't been visiting in a while. But I am back from vacation now! Your card looks absolutely lovely. 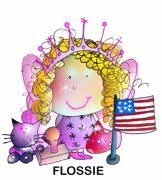 I love the image, the way you colored it and the double ribbon. Such a cute simple card the ribbon looks Fabulouas! 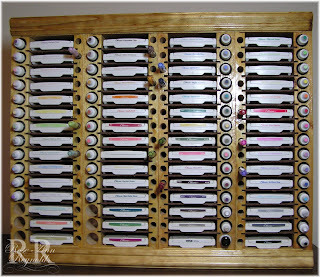 and WOWZIE look at that organizer Its a doozie sooo very nice ..
Love the simple card. I struggle with one layer cards. Your blending is wonderful on it!! Absolutely beautiful! You chose a perfect image for your single layer card. I love how you placed the sentiment. Love that beautiful taffeta ribbon, too! You did a wonderful job of this. You really nailed it. Love the image - great color. WOW! This is really awesome!! I need one of these!! Yeah...notice I said...NEED?! hehhe! Wow Rose Ann. That card is wonderful! The sun reflecting on the water is so "real" and stunning. I ordered one of these, and it SHOULD be arriving ANY DAY!!! WOOHOO! I can't WAIT! I just know I'm gonna LOVE it! I love the idea of having my markers and reinkers WITH the pads!